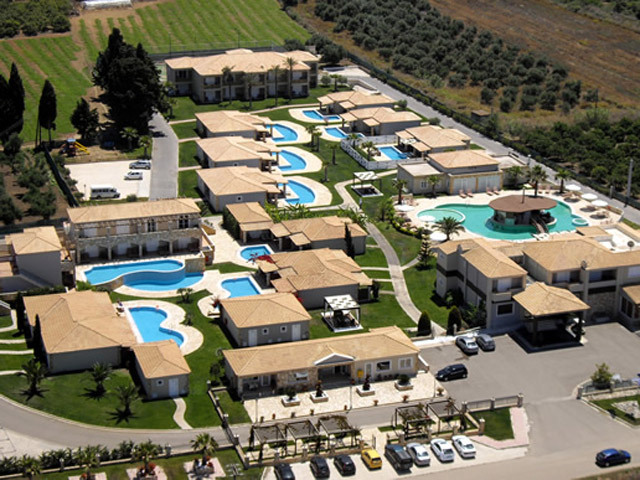 Olympia Golden Beach is the new 5 Star resort in Kyllini Beach, also known as Golden Beach . 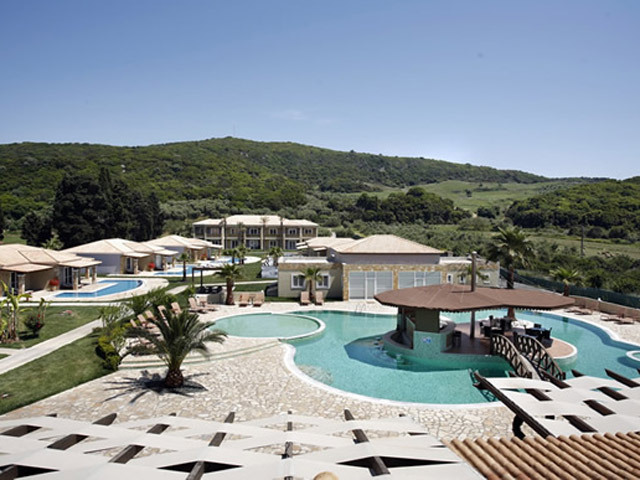 The hotel has been designed to offer luxury and relaxing holidays for couples, friends and families.Surrounded by the sea and the hills. The elegant restaurant and the traditional tavern will offer even to the most demanding customer the satisfaction of Greek and European tastes, while live music is in the air. 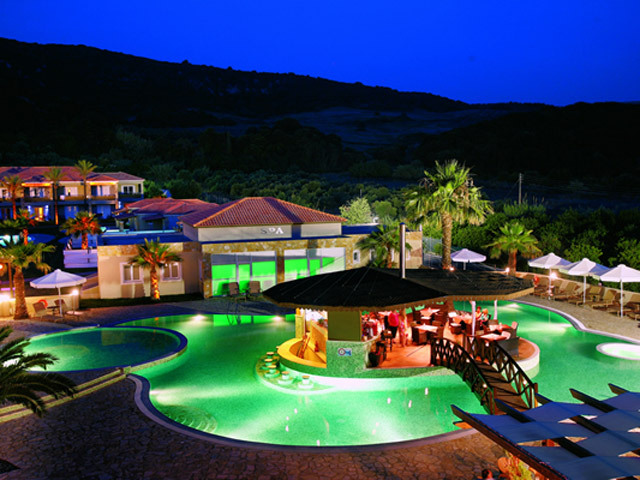 We invite you to find out the pure Greek hospitality together with the comfort of a Luxurious and Elegant resort . The hotel provides several activities to feel up your free time. You can just choose to use the Mountain bikes, the fitness center, the tennis court or the play room and have a great time. A place where you can train yourself and feel that nothing is missing. You will certainly find high technology equipments that will definitely satisfy your high needs. If you would like to hire your own trainer just inform the reception desk and they will find one for you. Olympia Golden Beach provides one tennis court for the tennis fans. The court is being made from a high quality elastic material that helps avoiding injuries. In order to reserve the tennis court you have to contact the reception desk. Olympia Golden Beach provides a new play room with ping pong, play station 3 and 2, X-Box, Game Cube, Billiard, air-hockey and Table tennis. For the younger guests someone can also find a well equiped play ground. Definitely a place for fun. Within a small distance from the hotels beach someone can hire various types of sea sports. At your free time you can also rent our mountain bikes in order to explore the area around the hotel. This is a very good idea especially at the beginning or at the end of the summer period. The philosophy of the dining department sets as priority the quality of the products in a balanced combination with the hygiene of all the production departments. Thus, within 2008 the kitchen department is completely reconstructed according to the international standards of ISO 22000 (HACCP). Feel open to new tastes from the Mediterranean as well as from international kitchens. 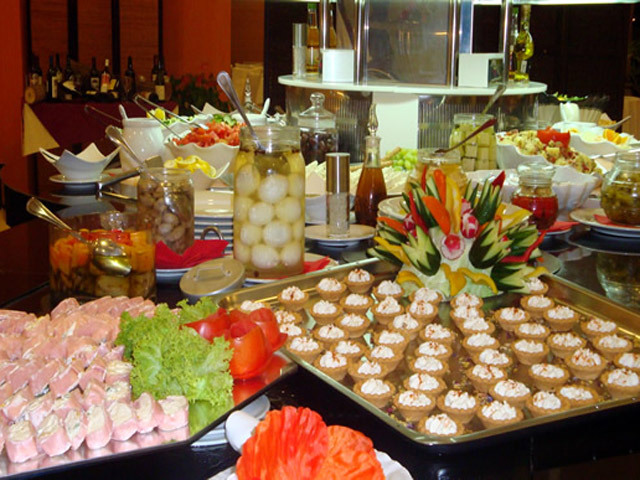 You will also find services for birthday or anniversary parties customised to your needs. 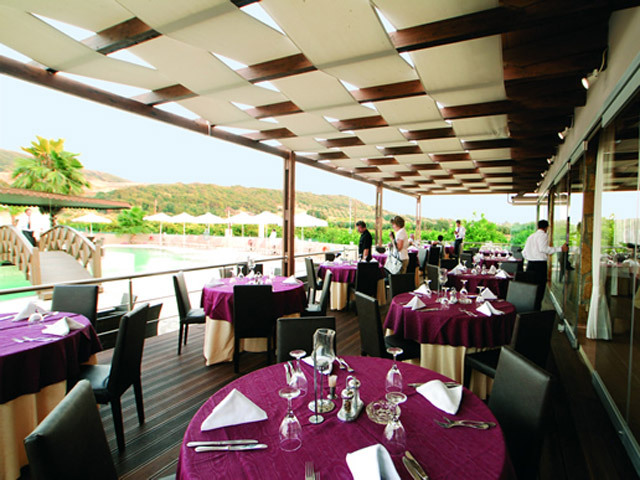 The elegant restaurant will offer even to the most demanding customer the satisfaction of Greek and European tastes, while live music is in the air. 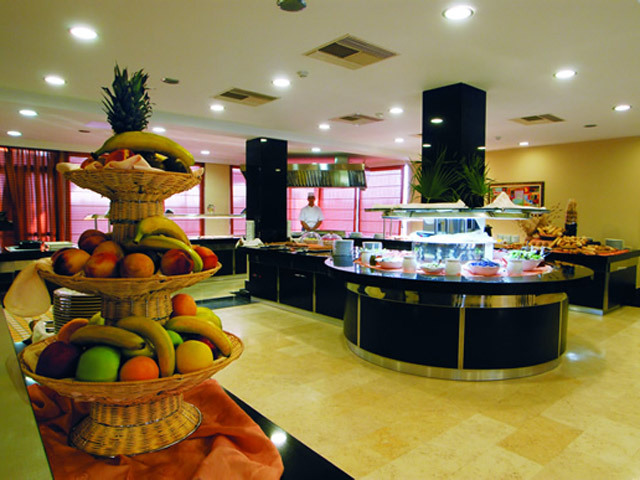 The Breakfast is beeing served from 8:00 until 10:30 at the main restaurant as well as the lunch and the dinner. Olympia Golden Beach provides 2 bars. The Lobby bar , which is located in the main lobby area and the Pool bar located in the main pool. The bars are open all day until late at night, but you can also use the room service 24 hours a day. When you visit one of the bars do not forget to taste one of the exotic cocktails or the high quality coffee. 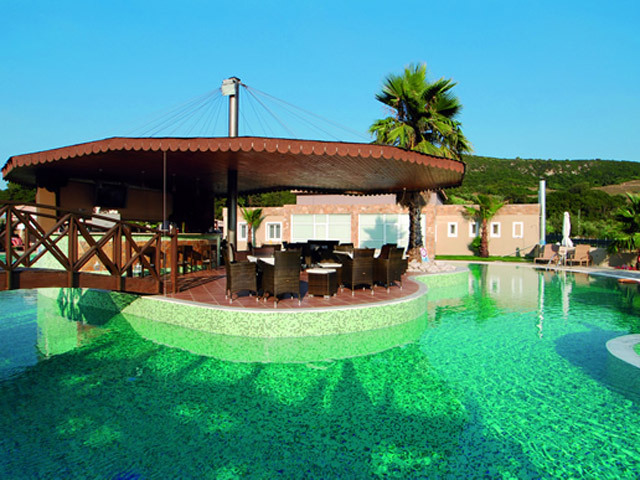 Olympia Golden Beach was totally refurbished in 2008, adding another 27 new Rooms and a Villa. The hotel now provides in total 28 Deluxe Bungalows Sharing Pool, 18 Main Building Double Deluxe, 4 Superior Bungalows Sharing Pool, 5 Suites and 1 Villa. The hotel's concept is concentrated in providing comfortable rooms with high quality furniture and accessories in general, together with a high quality service in any aspect of every detail. 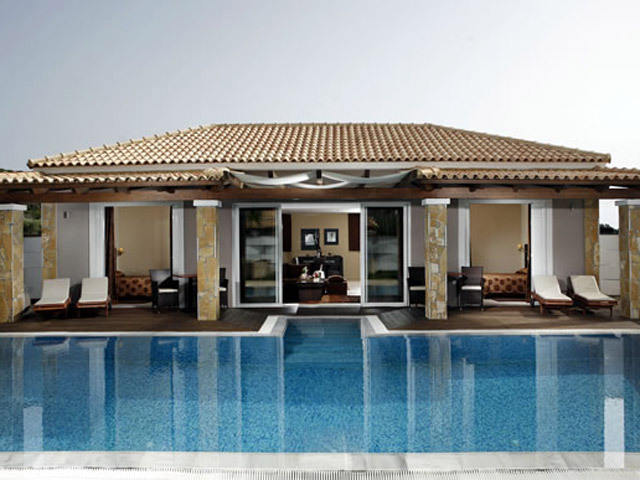 Therefore, the standard rooms are at least 40 sq.m, whereas the Villa is 120 sq.m. The 18 Main Building Double Deluxe Rooms (40 sq. m each, with a veranda of 10 sq. m) are designed to provide more comfort and style than the standard rooms internationally. Therefore, our standard rooms are more spacious and luxury than the standard type of rooms in other hotels. In all Rooms you will find a refrigerator with mini-bar facilities, 21’ cable and satellite television, telephone, safe box, Free ADSL Internet access and air-conditioning. Moreover in the bathroom you will also find bath accessories, telephone, slippers, bath robes and hair dryer, making your stay as comfortable as possible. The 28 Deluxe Bungalows Sharing Pool (45 sq. m each) are designed to provide as much comfort, luxury and style as possible. In all Rooms you will find a direct access to a swimming pool (3 to max 6 bungalows are sharing the same swimming pool), refrigerator with mini-bar facilities, 26' LCD (HD Ready) cable and satellite television, telephone, safe box, Free ADSL Internet access and air-conditioning. Moreover, in the bathroom you will also find bath accessories, telephone, slippers, bath robes and hair dryer. You can also find family Bungalows sharing pool with separated parents and kids rooms (45 sqm), or 2 connected Bungalows with an internal door (90 sqm). The 4 Superior Bungalows Sharing Pool (45 sq. m each) provide a private swimming pool for every 2 bungalows. 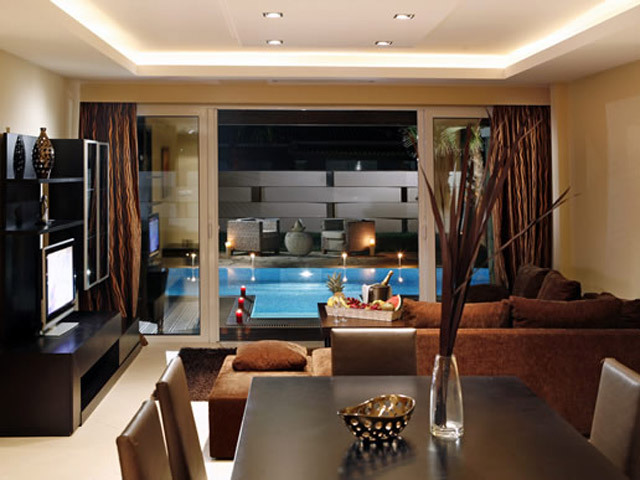 This type of room is suggested for couples or friends and are designed with luxurious fabrics and elegant accessories. In all 4 Superior Bungalows you will find a king size bed, direct access to a swimming pool (2 bungalows are sharing the same swimming pool), refrigerator with mini-bar facilities, 26’ LCD (HD Ready) cable and satellite television, telephone, safe box, Free ADSL Internet access and air-conditioning. Moreover, in the bathroom you will find a shower jet, bath accessories, telephone, slippers, bath robes and hair dryer. The 5 one bedroom Suites (60 sqm each, with a veranda of 33sq. m) are designed to provide as much comfort, luxury and style as possible. The Suites are placed on the first floor of various buildings and are ideal for families or couples. In all Suites you will find a bedroom with a king size bed, a living room with a sofa bed for one or two extra people, refrigerator with mini-bar facilities, 26' LCD (HD Ready) cable and satellite television, telephone, safe box, Free ADSL Internet access and air-conditioning. Moreover, in 3 of the 5 Suites' bathrooms, you will find a Jaccuzi tube, whereas in all bathrooms you will find bath accessories, telephone, slippers bath robes and hair dryer. The Villa (120 sq. 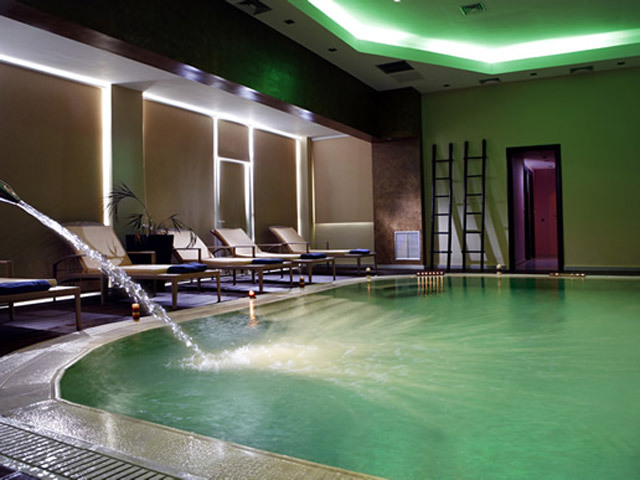 m, with a private swimming pool & garden) is designed to accommodate V.I.P. guests. It provides 2 separate master bedrooms (1 with a king size bed and the other with 2 twin beds) a master living room, and a dining room. 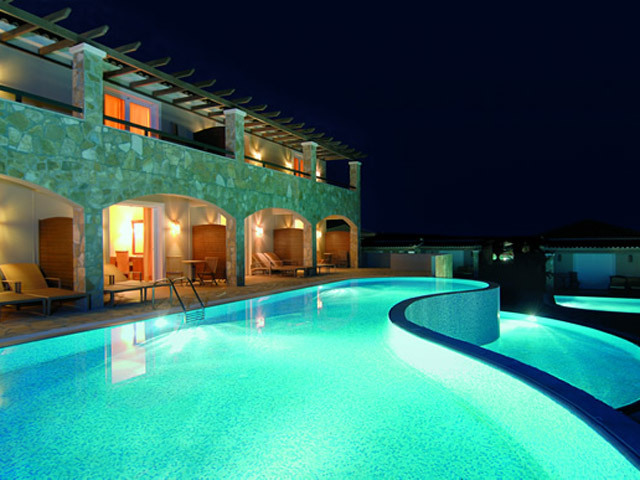 In front of the villa someone can find a private swimming pool with 2 hydro-massage corners and a private garden. Within the villa you will find a well equipped kitchen, a refrigerator with mini-bar facilities, 2x26' and 1x32' cable and satellite television, 3 telephones, 2 safe boxes, Free ADSL Internet access and air-conditioning. Moreover, in both bathrooms you will find shower jets and bath tubes, luxury bath accessories, telephone, slippers, bath robes and hair dryer. 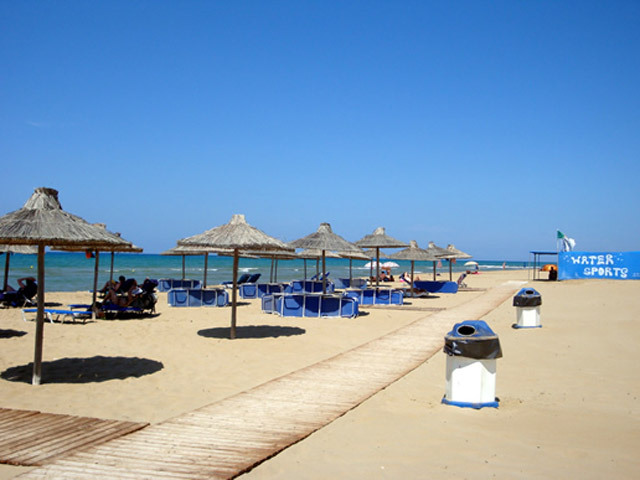 The exotic Kyllini Beach is one of the most beautiful Greek beaches providing beach volley courts and water sports. Its golden sand and its length of 6 km gives its visitors a magnificent feeling of relaxation and joyful time. Ideal for young children, due to the gradual deepening of the sea's water, Kyllini's Golden Beach is the perfect place for your summer holidays. 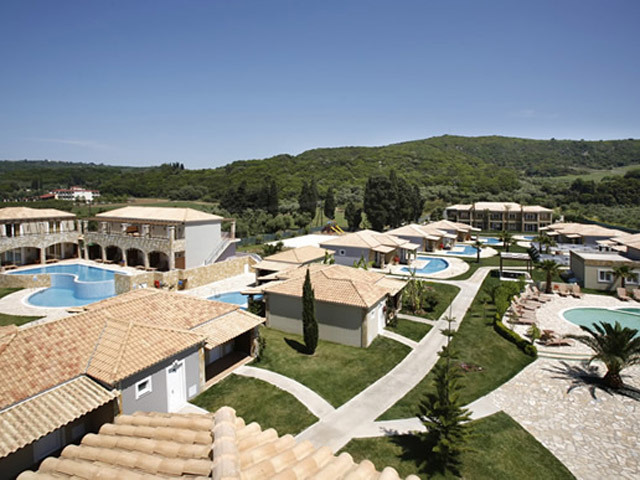 Olympia Golden Beach is situated near ancient Olympia Chiemoutsi Castle and ancient Mida. You can visit Olympia in less than an hour driving distance, ancient Ilida in less than 30 minutes, Kastro (Castle) in less than 5 minutes and Agia (Saint) Eleousa in less than 15 minutes. Special Offer up to 20% Reduction ! !